"My clients, whether they be individual property owners, businesses, or families, know that I am their advocate and that I will work hard to make sure their voices are heard and that my clients are always cognizant of the economics of their cases. I think that it is important for every client to seriously consider the economic costs and benefits of every dispute. I present their stories to the opposing party, the court, the appraisal panel, and the jury in a way that is both compelling and unassailable." Throughout his career, Alex has helped secure numerous successful outcomes for his clients in a wide range of legal matters involving insurance policy interpretation and coverage, property damage claims, and construction defects. 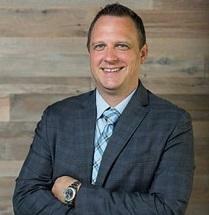 He also has substantial experience in insurance litigation, including fire cause and origin disputes and product liability litigation, valuation disputes, insurance appraisals, insurance coverage disputes, motion practice, mediation, and trial (appellate). Alex also works with community associations and businesses, handling their corporate governance, and litigation. Alex has handled numerous appeals cases in multiple jurisdictions, leading to new laws and positive results for his clients. In addition to extensive experience in litigation, Alex serves as a counselor for individuals and businesses in estate and business planning for all facets of their needs from asset creation to asset protection, as well as the protection of their estates. Alex is a member of the Minnesota, Wisconsin, Colorado, and Texas State Bar Associations. He is admitted to practice in the state courts of Minnesota, Wisconsin, Colorado, and Texas, as well as the U.S. District Court for the District of Minnesota, the U.S. District Court for the Eastern District of Wisconsin, and the United States Court of Appeals for the Eighth District. Alex obtained his Juris Doctorate from the University of St. Thomas School of Law in 2006, and is a part of the University of St. Thomas mentor program. Alex also received his Bachelor of Arts from the University of St. Thomas in Financial Management and Legal Studies in Business. Outside of the office, Alex enjoys football, golf, and spending time with his family and three boys.